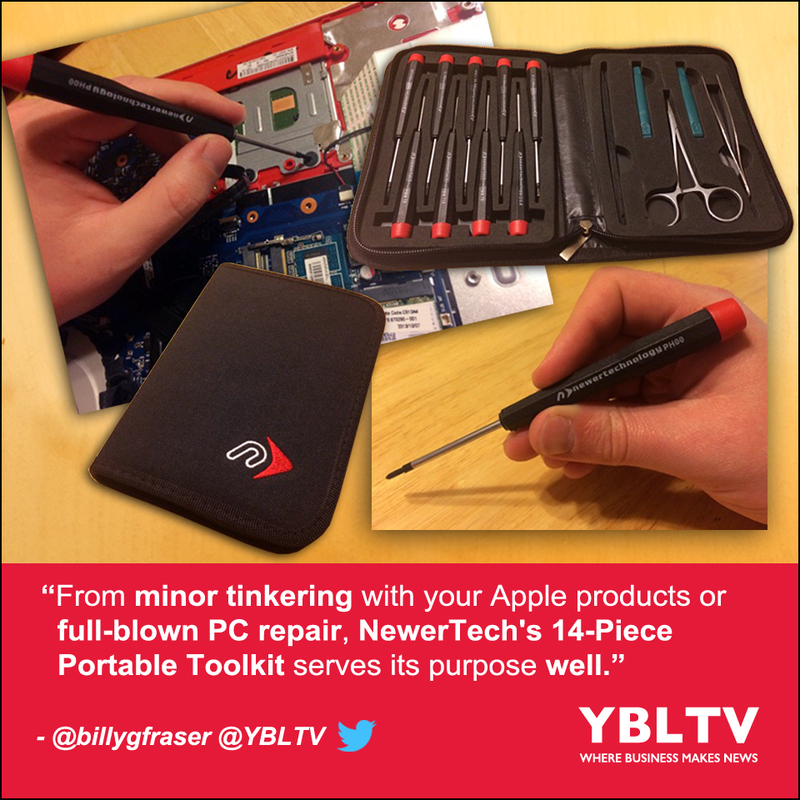 YBLTV Giveaway: NewerTech 14-Piece Portable Toolkit. Review by William Fraser. From minor tinkering with your Apple products or full-blown PC repair, NewerTech's 14-Piece Portable Toolkit serves its purpose well - a must-have for technicians of all calibers. A worker is only as good as his tools. This is why NewerTech understands the importance of providing quality tools at a very affordable price. The 14 Piece Portable Toolkit I received from NewerTech to review fits their ideology just as expected, as it grants all the necessary tools for any technician, casual or adept. NewerTech 14-Piece Portable Toolkit Case. 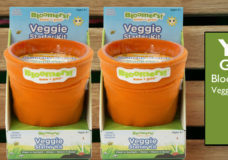 The packaging of a toolkit is just as, if not more important, than the tools themselves. The case is surprisingly fashionable with sleek, black nylon. The zipper of the case does not snag, as the quality of many products can be determined simply by the frustration caused by a zipper. With some tool cases, merely carrying the case can dislodge all the tools inside. However, this is not a problem for the NewerTech product. All the tools remain fastened in their place, without compromising on ease of removal. The tools featured in this kit below are especially crucial for those working with iOS devices, although technicians working on other devices will be satisfied with the contents. The magnetic screwdrivers feel comfortable in my hand, providing enough torque to remove even stubborn screws. Also included are a pair of spudgers that function well to deliver enough pressure to separate delicate parts without damage. NewerTech 14-Piece Portable Toolkit Tools. 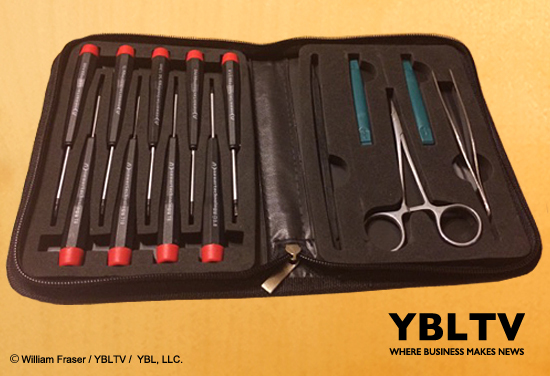 At only $19.95, the NewerTech 14 Piece Portable Toolkit is a must-have for technicians of all calibers. From minor tinkering with your Apple products or full-blown PC repair, this product serves its purpose well. 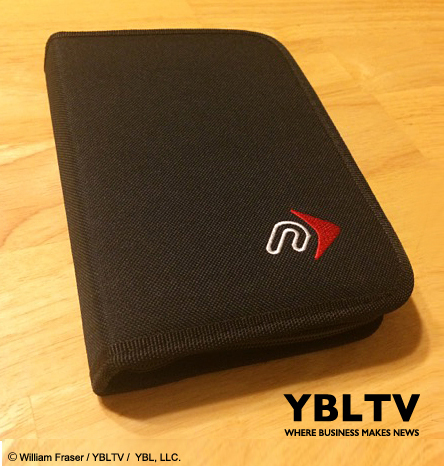 Disclosure of Material Connection: YBLTV Writer / Reviewer, William Fraser received the NewerTech 14-Piece Portable Toolkit for free from NewerTech in consideration for a Product Review.